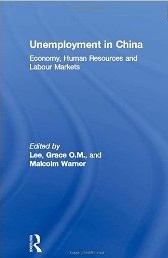 서명/저자 Unemployment in China : economy, human resources and labour markets / ed.by Grace O. M. Lee ; Malcolm Warner. 개인저자 Lee, Grace O. M.
발행사항 London ; New York : Routledge , 2007. Unemployment in China offers a new and invaluable insight into the Chinese economy, keenly analyzing the new directions the world''s next superpower is now taking. Successfully bringing together a wide range of research and evidence from leading scholars in the field, this book shows how unemployment is one of the key issues facing the Chinese economy. China''s market-oriented economic reform and industrial restructuring, while greatly improving efficiency, have also sharply reduced overstaffing, leading to a large increase in unemployment. At the same time, further restructuring is predicted as the full impact of the accession to the WTO is felt throughout China. A further problem is that new jobs in China''s growth industries are more likely to be secured by younger, better-qualified workers than by older, poorly educated and unskilled workers who have been laid off. This book discusses a wide range of issues related to the growing unemployment problem in China and examines the problems in particular cities, appraises the government response, and assesses the prospects going forward.